If it’s your first time, here are some useful tips for starting a campfire. It’s not that difficult, but knowing some of these facts should make the process even easier. Almost all papers can be used to make a fire. But the most effective are newspapers. To start, take a sheet of paper and cut them in half. If needed, cut it into three pieces or more. Crumple the paper until it’s about the size of a baseball. Put several pieces in the pit. Shape them into a pyramid. Alternatively, you can cut the papers into strips. Make each one about an inch wide. Put them in the pit and you can start the fire. No tips for starting a campfire would be complete without mentioning kindling. The best option is to just get some around the area. There are usually plenty of them in campsites. If you can’t get any, look for some twigs. You don’t need to get large branches; the small ones will suffice. Just put a couple of pieces around the stack of papers. Put some above and under them also. When the kindling is level with the paper, put more above the paper stack. For lighting the fire, you can use fuel, lighter or matches. Some use fuel, but propane lighters are simpler to manage. It is also easy to start them. Keep the fire going by adding more kindling. Here are some tips for starting a campfire with wood. Dried wood will produce the best results. You’ll want to add more of the material, so keep some nearby. Don’t put them too near the flames though because it might catch fire too. It’s also a good idea to bring some firewood with you. If you choose a popular camping ground, getting wood may be difficult. Get some from other areas so you don’t run out of supplies. Light the fire a good distance from your tent. Lave enough room so that the fire and smoke won’t go around your surroundings. When putting on the tinder, make sure that they’re packed in tight. Some good materials for tinder are twigs, old bird nests and small twigs. Here are a few more tips for starting a campfire. Have some big sticks handy. This can be used for reigniting a dying fire. When the fire starts to get very large, you can throw in more wood to make it manageable. There are many types of wood you can use. Some of the best are pine and cedar. Don’t forget the water. Always keep it nearby so you can put out the fire anytime. If the wind is blowing too hard, it may put the fire out. Try raising your coat over the pit and light the fire. Wearing a coat or jacket may also help. The abovementioned tips for starting a campfire can be followed even by newbies. 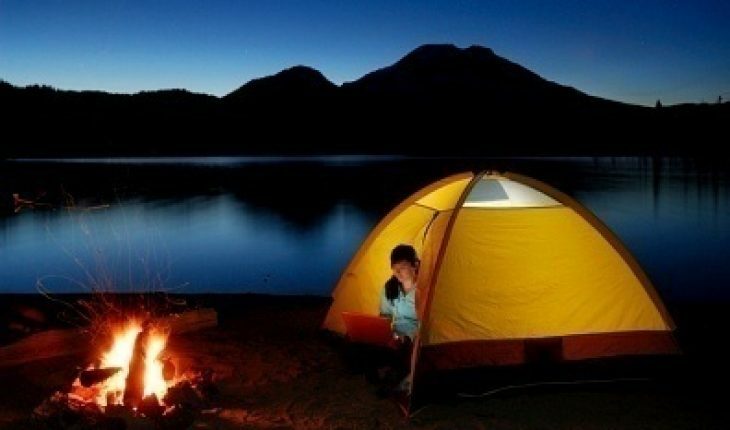 As long as you take the proper precautions, savoring a genuine camping experience is easy.